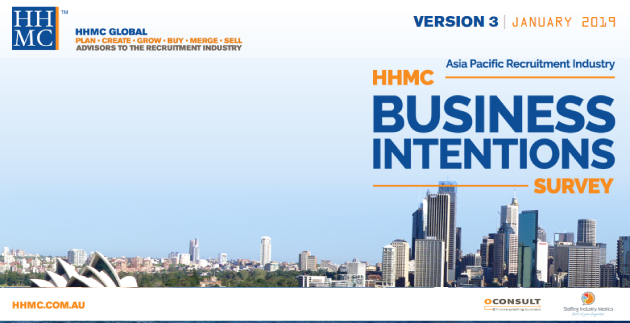 HHMC is pleased to release the results of our third Business Intentions Survey conducted in the Asia Pacific region. This survey is specially conducted for the recruitment agency owners and managers of the Asia Pacific region to understand their successes and challenges. The objective of this report is to understand business confidence and intentions over a period of time. Download your free HHMC Business Intentions Survey report by completing the form and clicking Download.